Embroidery scissors for Cross Stitch, Irish Lace, Hardanger, and general thread snippers. Ideal for delicate threadwork and embroidery. 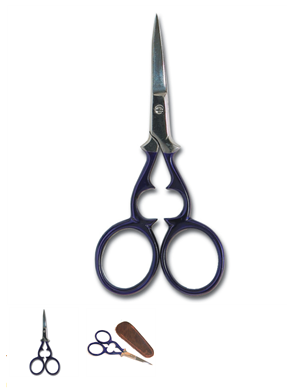 These Victorian style embroidery scissors come with a protective leather cover for the tips. 95mm in length.